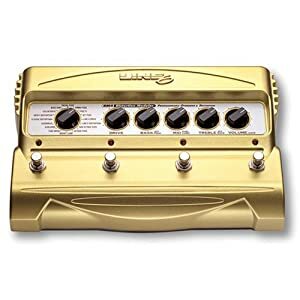 Today I saw that Amazon is having a great deal on the Line 6 DM4 Distortion Modeler. The Manufacturer’s Suggested Retail Price (MSRP) is $349.99, but is currently on sale for $202.96! This is also eligible for FREE Super Save Shipping. At the time of this post, there are only 4 modelers left in stock.. so you need to jump on it if you’re interested. This same pedal is available for $249.99 at Musician’s Friend, so it’s definitely a deal.